One of the biggest marketing lines for any lawyer who handles DUI (and other criminal) cases is “avoid jail.” Going to jail is everyone’s worst fear, and it seems like a huge mistake for a lawyer to fail to address it. I talk about it, although I also go out of my way, both on my website and in many of my DUI articles on this blog, to make clear that jail is NOT on the menu for just about anyone facing a 1st offense DUI, and even for many people who have had prior drinking and driving convictions. In this article, I want to examine how the fear of jail and the desire to stay out of it can actually skew a person’s thinking enough to lead him or her into making a rash decision when hiring a lawyer. The first and most important part of all this is to remember that, if you’re facing a 1st offense drunk driving charge, you are almost certainly NOT going to jail anyway, so paying to stay out of jail is as much a waste of money as is an insurance policy for a global nuclear apocalypse. Although not for the exact same reasons, it’s also a bad idea to run headlong into some lawyer’s office and hand over your money in a 2nd offense DUI case, solely based on the idea of avoiding jail. First, in many of these cases, you’re not going to jail anyway, and second, in a few courts, you’re going to get locked up for a few days, no matter what. The key distinction here is that a skilled and especially tactful lawyer may be able to keep you out of jail in those cases where it does exist as a real possibility. In other words, in those courts where you’re not going to go, you’re not going to go, while in those courts where a few days is a certainty, you’re going to go no matter who you hire as a lawyer. Anyone who tells you differently is either outright lying or woefully inexperienced. No lawyer with the sophistication to carefully finesse the client through a case where jail is a possibility (as opposed to being either a certainty or a complete non-issue) will be heard barking “avoid jail!” louder than the next guy. And as much the right kind of lawyer will be ever so diplomatic in this regard, neither will he or she be hawking their services to those most likely to be taken in by the “stay out of jail!” crowd. People who know better tend to be drawn to people who know better. Whatever else, you won’t see Jaguar trying to appeal to buyers in the market for a Kia. Our first lesson here is significant – the idea that you’re either not going to jail, or a short stint is pretty much unavoidable – and that efforts focused upon jail are only useful where it exists as a very real (and avoidable) possibility. Of course, even where jail is pretty much in the bag because a person has multiple DUI convictions, it needs to be minimized as much as possible. However, there is way more to this. When facing a DUI charge, other consequences, like what will happen to your driver’s license, are always a concern (because something will happen to it), as are the ramifications to your criminal record and your driving record, not to mention the kind of probation and other penalties you will face. 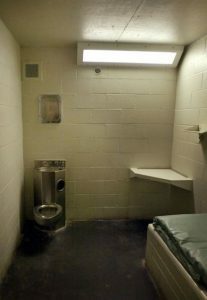 Would you rather stay out of jail and simply pay fines and costs and be done with the whole thing, or would you prefer to stay out of jail and be put on reporting probation for 2 years, required to complete heavy-duty counseling, attend AA meetings 5 days a week, and show up for breath or urine testing 3 times per week on top of all that? Of course, staying out of jail where there’s any chance of going is important, but really, that should be basic stuff to any competent lawyer. In other words, even though everyone’s worst fear is being incarcerated, a good and honest lawyer should, for example, make clear to anyone facing a 1st offense DUI that jail isn’t in the works anyway. The failure to do so is a horrible combination of moral failure, ignorance and pure exploitation. Even if just by sheer ignorance, when the jail card is all have to play, as a lawyer, either because you lack the knowledge or the skill to do and/or know better, then you’re not about to kill what seems your only chance to get a new client. When most people go online or otherwise begin looking for a lawyer to handle their DUI case, they understandably respond to reassurances about staying out of jail. As good as I am and as much as I know the quality of the outcomes I produce, I realize most people don’t go looking for a DUI lawyer primarily on the basis of how he or she can minimize probation – even though that’s the reality that they will have to deal with way more than any baseless threat of going to jail. Fortunately, I appeal to the kind of people who take the time to read and check things out, and I’m more than busy enough to NOT even have to think about playing the jail card. Yet some law operations request a favorable review from every client. Good marketing, to be sure, but that kind of thing is not for me. As a consumer, I tend to spot that stuff right away, and, if anything, it scares me off. So what’s the homework assignment? Think. Think about what you’re reading (that includes this article, as well) when you see an endless list of glowing reviews. Heck, think about negative reviews; competitors can be ruthless, something I have had to learn firsthand. When you look for a lawyer, look for real information. I try very hard to explain the legal process in drinking and driving cases, both on my site and in the more than 300 DUI articles I have written and posted. Be wary of things that look like information, but, upon closer inspection, leave you with only questions and not answers. One thing I learned long ago is that it’s one thing to ask a question or otherwise make a person think about something with the intent to lead him or her to the answer, but it’s a cheap knock off tactic to use questions without providing or otherwise leading the reader to the answers, and holding out as if one must consult the author to learn the truth. Instead, look for explanations that either answer the questions you have, or pose questions and then get to the answers through a clear analysis. When you look for a lawyer, you should neither be dazzled by his or her brilliance nor baffled by his or her bull$hit; instead, you should feel like you’ve found someone who can help you understand what’s really going on. The smartest legal scholar is of no use if he or she can’t clearly explain things to you. Since the dawn of the spoken word, BS has always been just BS, and a BS-er will always be a BS-er. My mom used to say that you can’t change the spots on a leopard. Some operations talk a good game because they have become experts at telling (and selling) people exactly what they want to hear. Of all the things people want to hear when facing a DUI, it’s that someone can keep them out of jail. But that’s worthless when jail isn’t going to be imposed. And as I noted above, in 2nd offense cases, there are a few courts where, no matter who you are or who your lawyer, you can pretty much count on getting a few days in the cooler. In either of these cases, paling for the lawyer whose main product is to keep you out of jail is almost inexcusably stupid. Moreover, in every DUI case that goes through court, there are loads of other consequences and penalties to be avoided, managed, and otherwise minimized. Of course you want to stay out of jail when actually going is a possibility, but the lawyer best able to do that is not the one shouting about jail the most, or the loudest, anyway. The grand takeaway here is that when you look for a lawyer to handle a DUI charge, don’t let your fear of jail blind you to everything else. In almost every 1st offense case, you’re simply not going to jail anyway, so focus on the real-world things that actually can and/or will happen, like the restriction or suspension of your license and how you can avoid long and difficult probation. As you look for a lawyer, look for real information. Look for explanations that you can understand. Look deep, and read between the lines. Read articles, and then call around and ask questions. If you have a DUI case pending in the Detroit-area, I can help. All of my consultations are conveniently done over the phone, right when you call. We’re in Monday through Friday, from 8:30 a.m. until 5:00 p.m., and you can reach my office at (586) 465-1980. We’re here to help.